I was recently able to participate in the Mekong Tourism Forum 2018 conference held in Nakhon Phanom, Thailand. The conference is put together by the Mekong Tourism Coordinating Office (MCTO) and the Tourism Authority of Thailand (TAT). Their goal is to educate the public about great destinations in the Mekong region to drive tourism there and promote economic growth for these communities. Understanding this it begins to make sense why they’d have a large conference of travel industry folks and bloggers in Nakhon Phanom. I mean, I’d never even heard of the place until this conference–and after the 5 days I spent in the area I just fell in love with it! This article is meant to showcase the things to do, eat, and see that make Nakhon Phanom (and That Phanom!) special. I’ve included some off the beaten path things and some tips to help you plan your visit. I think after reading it you’ll be surprised at just how much the place has to offer, and put it on your bucket list of Thailand getaway destinations! The city of Nakhon Phanom hugs the Mekong River in the Northeast of Thailand with the bordering country of Laos able to be seen from the riverbanks. Life here is also influenced by several different tribal cultures which is a real treat if you enjoy Laotian and Vietnamese cuisine. But one thing you will find out quickly, the people are friendly, outgoing, and curious about travelers. They call these tuk tuks, “Skylabs”. Seeing the city is easy to do by bicycle (and on foot if you lodge in a good location). But unlike some cities in Thailand, it is meant to be a bicycle friendly city. There is a bike trail that follows the 12 km from the city along the Mekong River to the Thai-Laos Friendship Bridge border. However if you’re exercise averse, getting a tuk-tuk (also called “skylabs” here) is easy to do and affordable. They patrol up and down the main roads and are easy to flag down. Metered taxis are also an option, but they normally need to be called by your hotel. The taxi meters are more expensive than Bangkok, but the drivers are professional and the cars are in good shape. There’s a high concentration of gorgeous Wats between the Paya Sri Satta Nakarat (sometimes called the Naga Monument) and the Fortune Viewkong Hotel (where I stayed). This short stretch of picturesque road along the Mekong River is lined with four significant Wats: Wat Phra in Plaeng, Wat Maha That, Wat Klang (pictured above), and Wat Pho Siri. Each of the Wats have some special significant relic, statue, or history. You’ll also see architecture similar to what you find in Laos. The concentration of sites can easily be walked and there are no entrance fees for visitors. Paya Sri Satta Nakarat (also known as the “Naga Monument” is one of the best known landmarks as it is centrally located and hard to miss along the riverside. Many locals come to pray here and then buy lottery tickets immediately afterwards. You’ll see lottery ticket vendors lined along the street ready to sell to those feeling lucky after prayer. There’s an enclosed area dedicated to 3D sidewalk art nearby. The optimum place to take a photo is clearly marked with a small camera image on the ground. Check out the street night market! In front of the Naga Monument marks the beginning of Nakhon Phanom’s bustling street night market scene. They are usually in full swing by 6 pm and close up earlier around 10 pm. There are plenty of street food options and shopping opportunities. Along this road area few restaurants, bars, and cafes. It’s not difficult to find a place with a live band, a cold beer, and a beautiful view of the Mekong River. Night time view facing Laos Mekong River border. Handy Tip: Keep your camera on you! All of the sites in Nakhon Phanom are well illuminated at night. It’s a good idea to keep your camera on you so that you can retrace your steps to retake some dramatic night time photos. Venture away from the river! Though many of the significant sites are along the Mekong River, there’s much that can be seen if you venture in the city environs. I wanted see the Ho Chi Minh House and so I rented a bike from the hotel (15 baht/hour) and hit the road. Along the way I found some interesting places to visit worth sharing. Wat Noi Pho Kham is one of those rarely explored places in Nakhom Phanom. I wouldn’t have noticed it had I not turned my head to see an ornate archway down a side street. I’d have missed it if I were in a car. Aside from a woman and a couple of young monks scattering chalk along the long walkway, I had the place to myself. In this peaceful and secluded area you’ll find a giant sitting Buddha statue. It’s huge! When I got back to my hotel I looked from my 4th floor balcony and could see the top of the head peaking above the trees 3 km away! Not to be confused with the Chedi in Ayutthaya, this Wat Phu Khao Thong is located next to the left turn off to reach the Ho Chi Minh House. This is another great off the beaten path temple where you’ll find you have the whole area to yourself. Of interest to me was the green and gold warrior looking statue that looked to be made with bits of lacquered pottery. The REAL Ho Chi Minh House! From 1924-31, the former President of the Socialist Republic of Vietnam, Ho Chi Minh, lived in Nakhon Phanom under the royal protection of King Ananda Mahidol (Rama VIII). It’s said that from this sleepy little village house, Ho Chi Minh plotted a revolution. The house itself has been handed down from the original owners down the generations and is currently a museum in which artifacts from Ho Chi Minh’s daily life are showcased along with stories about his time spent there. It is free of charge, but donations are gratefully accepted. There is a bit of confusion as to where the REAL Ho Chi Minh house is as there is a Ho Chi Minh Museum nearby which also has a “replica” of the house. This museum is clearly marked with directional signage–the Ho Chi Minh House isn’t. The Googlemap I’ve provided below is to the REAL deal. Bottom line, if the house isn’t facing rice paddy fields then it’s not the right one. There is a small pier just before the giant Naga statue where you can find a riverboat called The River. They offer sunset cruises that last about an hour. Currently the price is 100 baht per person and there are drinks and snacks on board at very reasonable rates (a can of cold Singha beer was 40 baht). The cruise takes you along the coastline of the Thai border then back along the coastline of the border of Laos. The contrast of development between the two countries is amazing. My recommendation would be to take the cruise, some happy snaps of the sunset, then hit the street night market for some good eats and drinks. Speaking of which, this article wouldn’t be complete without a some great recommendations to eat, right? A great place for boat noodles! Located very close to the Fortune Kongview Hotel, this covered restaurant called ร้านก๋วยเตี๋ยว โกย้วด serves up either beef or pork noodles. For 40 baht you get a pretty nice serving with loads of greens to spruce it up. It’s a great deal, and a great meal. When I went there it was full of locals–an indication that it’s tasty! I am happy to report it was. Making boat noodles at ร้านก๋วยเตี๋ยว โกย้วด. ร้านก๋วยเตี๋ยว โกย้วด Great Boat Noodles! It might seem odd that a town bordering the Laos border would have some amazing Vietnamese food. But just as Ho Chi Minh moved to Nakhon Phanom to seek refuge, many others did the same. Often they started families and settled down (in my review of Bangkok’s Viet-Hue Kitchen I discovered that the owner’s family originated from Hue, Vietnam but settled in Nakhon Phanom!). Nang Naem Neaung (นางแหนมเนืองนครพนม) is a family run restaurant that dishes out some delicious Vietnamese food. The prices are very reasonable and the “Auntie” there is certain to ensure you leave there totally stuffed! The restaurant is located just a couple of blocks from the Naga Monument and is worth a visit (especially if you’ve earned an appetite biking to the Ho Chi Minh House!). All of the above activities are very easy to do with little planning. However, for the adventurous who want to experience something unique there are some excursions which you can do which will require a little coordination. Nakhon Phanom is a diverse melting pot of ethnicities. Surrounding the area are no less than 11 different tribal village communities: Tai Isan, Phu Tai, Tai Yo, Tai So, Tai Khalerng, Tai Kha, Tai Juan, Tai Sak, Tai Yoi, Thai of Vietnamese descent, and Thai of Chinese descent. Each village has their own unique culture, clothing, food, dance, and music. Many of them also offer and are encouraging visitors to home stay and experience the richness of their daily lives. To experience these places will require you to do some advance planning and coordination. For this I recommend contacting the Thai Ecotourism & Adventure Travel Association (TEATA). They can get you started in the right direction. But let me share my experience at the two villages I visited so you can see what makes it special! A warm Isan welcome at the Chai Buri Village! The first village experience I had was to visit the Tai Isan people of Chai Buri Village. Our group was welcomed with flower necklaces and a feast of local dishes. A buffet of local dishes. I enjoyed sour fermented fish sausages and a dish of minced pork and fermented fish. I think the food was toned down a bit (I expected it to be pretty spicy) but they did have some chilies on hand. An Isan folk dancing parade. We followed the parade of dancing children to be treated to a musical show of kiddos (check out the little one with the drum bigger than him!). Afterwards we had a discussion with the village leader who gave us a brief history of the village and then we were off in tuk tuks (skylabs) for a tour around the historical sites. 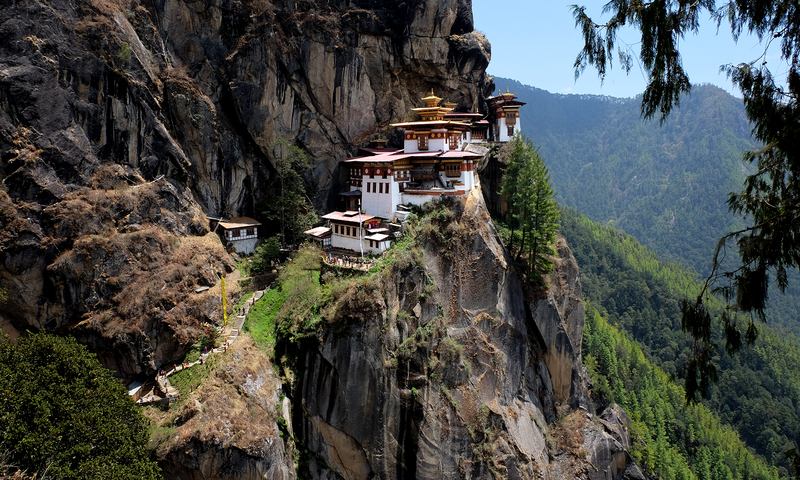 This village is very popular with one of the princesses of Bhutan (an aunt to the current King of Bhutan). The villagers are very warm and friendly, and the location is very serene and peaceful. I can see why it would be a popular retreat! My second village experience was at the Tai Kuan Village. Another warm reception and then we were off to see a “jungle” blacksmith forging knives. It’s amazing how much work goes into forging these knives which are then sold for 200 baht a piece! Returning to the village we were treated to some folk dances and foot massages. This was followed up by an incredible lunch! One dish that really impressed me was Som Tum Melon. It’s a dish that’s exclusive to this village as they grow amazingly sweet cantaloupes. These melons are used to make a refreshing salad mixed with crunchy vegetables and boiled eggs. It’s sweet, sour, and not at all spicy. Yum! Similar to the Tai Isan village experience, the Tai Kuan will win your heart over with their warmth and friendliness. A day trip to That Phanom! Inside the Wat Phra That Phanom complex. That Phanom is a very small town located 52 km (1 hour 15 minute drive) from Nakhon Phanom. If you visit Nakhon Phanom but don’t take the time to see That Phanom then you did it wrong. That Phanom is easily reached either by taking advantage of the Nok Air or Air Asia “Fly and Ride” program. My recommendation from my experience would be the Air Asia option as they drop you off/pick you up in a very convenient location (next to the Wat Phra That Phanom complex). But you can also take a shared mini-van taxi to/from That Phanom and Nakhon Phanom for 40 baht (the pick-up in That Phanom is the same as the Air Asia pick-up. It would be best to ask the hotel in Nakhon Phanom where the pick-up point is (as it’s not clearly displayed). I was dropped off about 1 km from the Naga Monument. Wat Phra That Phanom towers 57 meters above the small town of That Phanom. According to legend, this structure contains The Buddha’s breast bone Because of this it is considered a very sacred site in the region. There are many beautiful statues and buildings next to the large Laotian style Chedi, but for a real treat explore the complex behind. During my visit there was some construction on the backside. You have to go down the street to find the side entrance. Here you’ll find a giant gong dedicated to the ASEAN nations, beautiful Buddha statues, and peaceful solitude away from all the folks that migrate around the front of the Wat Phra That Phonom complex. I feel very fortunate to have had the opportunity to visit Nakhon Phanom and That Phanom. It was a welcomed escape from the hustle and bustle of Bangkok. The people were extremely friendly, it was easy to get about, and extremely inexpensive. If interested in checking out these destinations, I highly recommend you first join the Facebook social group, “Nakhonphanom Talk of the Town“. Through this group I was able to connect with a few local residents who gave me some great recommendations. I even had the joy of meeting up with one of them for some beers and friendship! I hope you find some useful information in this article. If you visit I’d love to hear your feedback! Oh man, great job with the post. I like the Wat pun. It was great experiencing the city with you mate. Great post Paul, really liked the foodie tips too – wish I’d gotten to try those noodles and the Vietnamese place! i was stationed NKP during the war. i realize things change but to see your pics, especially along river are like I knew NKP a century past. even the time difference i see the people are still the most friendly i have ever met. wish i could see again. Thanks for your feedback. I imagine it has changed a lot since then. But I’m glad one thing hasn’t changed–the friendliness of the people. There is a very large and active Facebook Social Group called “Nakhon Phanom Talk of the Town” (https://www.facebook.com/groups/nakhonphanomtalkofthetown/). There’s plenty of English speaking members in the group. If you’ve had some good friends from your time spent in NKP that you haven’t been able to stay in contact with, this might be a great forum to try and reconnect with them. Previous PostPrevious La Portugalia – Bangkok’s Place For Portuguese Cuisine! Next PostNext Almaty, Kazakhstan – A Beautiful City To Explore!